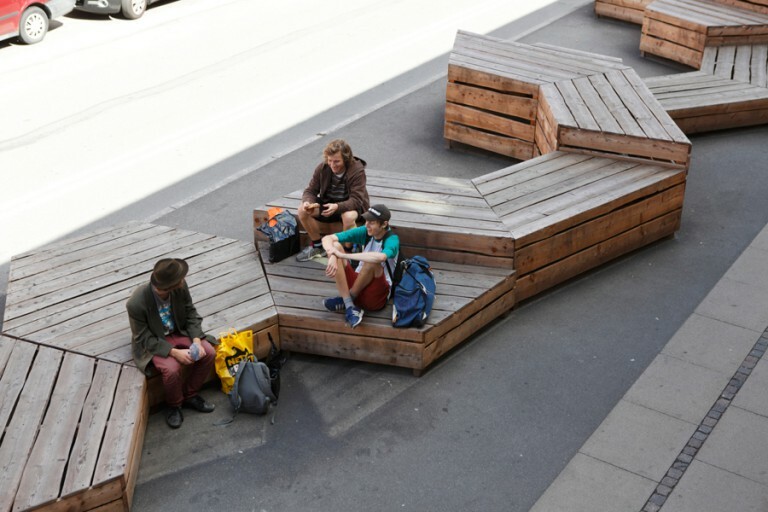 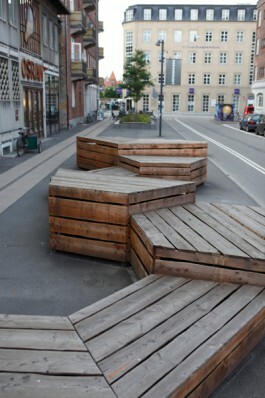 Urban furniture created for the project Staging the City, part of Haraldsgade's facelift. 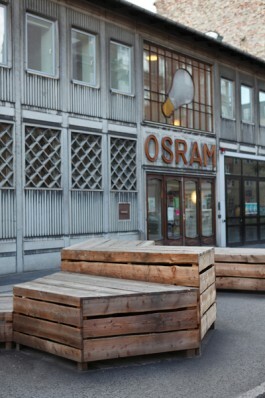 The furniture is located in front of the community center Osram house Valhalsgade. 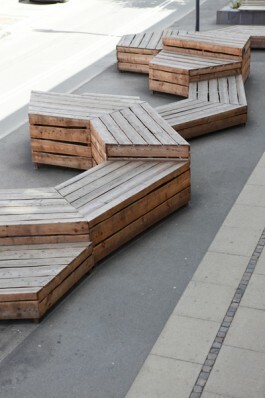 All modules are built of surplus solid larch wood. 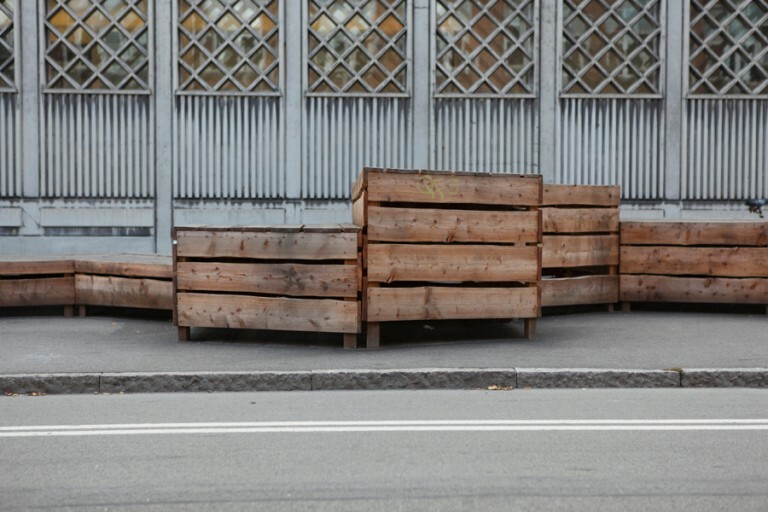 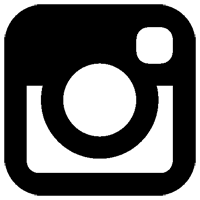 The wood is untreated and turns light grey with time.